Laser Class 310 - American Business Copiers, Inc. The LASER CLASS 310 is a multifunction solution that provides laser faxing, convenience copying, and network printing capabilities to meet the needs of mid-to-low volume businesses and workgroups. 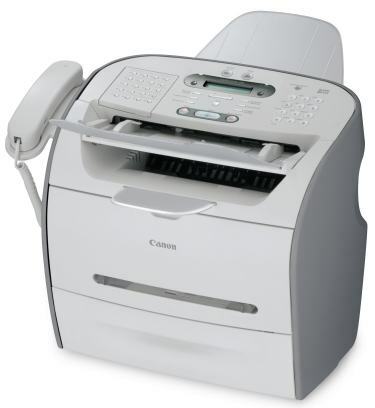 Canon’s LASER CLASS 310 is a 19-page-per-minute (letter) multifunctional solution that provides high quality and affordable laser printing, faxing, and copying to meet the needs of any small business or workgroup. 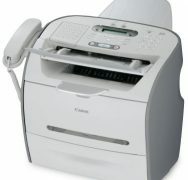 With a variety of productivity-enhancing features, the LASER CLASS 310 offers a large memory capacity of up to 510 pages*, Canon’s exclusive UHQ (Ultra High Quality) technology that will ensure superior image capture and reproduction of every page, and Super G3 Fax technology to transmit documents at quick speeds. When connected to the AXIS 1650 Print Server, the LASER CLASS 310 gives multi-user workgroups the ability to utilize the device as a shared network printer. It also includes a 50-sheet Automatic Document Feeding capabilities to quickly scan up to legal sized-pages and a 500-sheet adjustable paper cassette that’s sufficient to handle your business requirements. The LASER CLASS 310 is the ideal multifunctional device that will help to increase productivity and keep an eye on your bottom line.